The United States has exhausted its annual supply of EB-5 immigrant investor visas for the first time in the program's history following a surge of applications from Chinese nationals. The State Department's chief of visa control, Charles Oppenheimer, told lawyers at an industry conference earlier this week that no more spots will be available to Chinese for the rest of the fiscal year, which ends Sept. 30. Several attendees confirmed his comments to CNNMoney. Known as EB-5, the immigration program offers a green card to any foreigner willing to invest at least $500,000 and create 10 jobs in America. No more than 10,000 of the visas are allowed every year, and this will mark the first time the quota has been reached since the program's inception in 1990. "It's like the movie house is sold out -- there are no spare tickets left," said Bernard Wolfsdorf, founder of immigration law firm Wolfsdorf Rosenthal. "Pretty much all the visas for this year are accounted for." There are 10,300 pending applications, and Wolfsdorf estimates it could take as long as three years for some to be processed. This is of particular concern for investors hoping to bring their children, who only receive a green card if they're under 21 at the time of application approval. "There's a lot of enthusiasm now to file as soon as possible," Wolfsdorf said. "If you don't get your ticket now, you're going to wait longer." In 2013, Chinese nationals accounted for more than 80% of EB-5 visas issued, compared to just 13% a decade ago, according to government data compiled by CNNMoney. 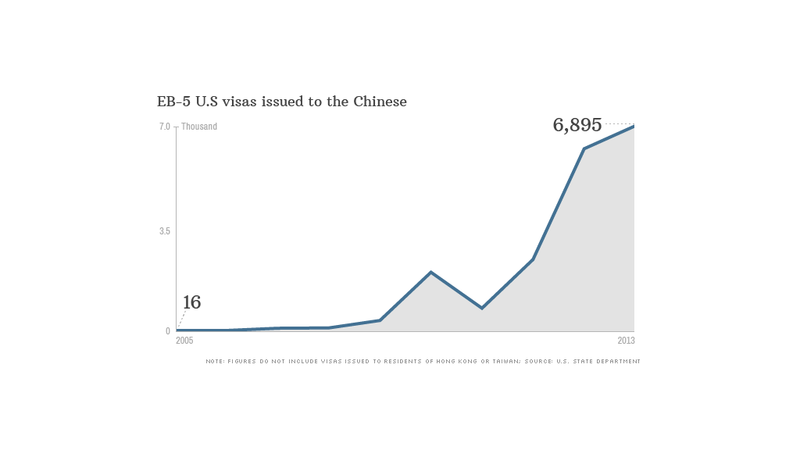 That translates to nearly 6,900 EB-5 visas for Chinese nationals last year, a massive bump up from 2004, when only 16 visas were granted to Chinese. For rich Chinese, opportunities in the U.S. are attractive. A green card offers a way to send their children to American universities, escape heavy pollution and enjoy an improved quality of life. Plus, the EB-5 program is relatively cheap. Australia, for example, requires a $4.5 million investment -- nine times the minimum required by the U.S. Experts say the program has exploded in popularity this year, particularly since Canada ended a similar program this year that was also popular with Chinese. Supporters say immigrant investors have provided an important alternative source of financing, pouring at least $5 billion into jobs and projects from Brooklyn's Atlantic Yards real estate development to a Texas peanut company. On top of that, these wealthy immigrants contribute to the local economy by buying houses, purchasing cars, and paying school tuition for their children, Wolfsdorf said. But there are plenty of critics. 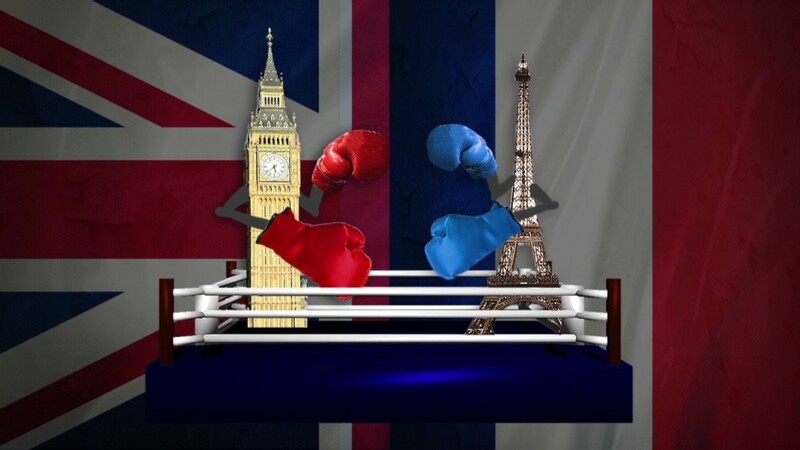 Some argue that the program is a way for the global elite to buy citizenship. Others say the scheme has too much red tape, and believe parts of it are mismanaged to the point of fraud. A longer waiting line isn't "the end of the world," Wolfsdorf said. "The demand is greater than the supply."